Apremilast 10 mg, 20 mg y 30 mg (Initiation Kit). Coated tablets. Apremilast 30 mg (Maintenance Kit). Coated tablets. 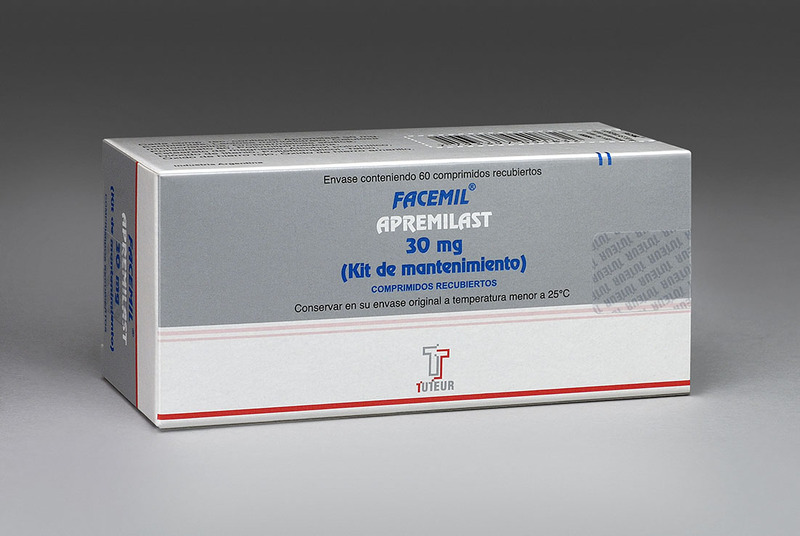 FACEMIL®/ APREMILAST 10 mg, 20 mg y 30 mg (Initiation Kit): package containing 4 coated tables 10 mg + 4 coated tablets 20 mg + 19 coated tables 30 mg.
FACEMIL®/ APREMILAST 30 mg (Maintenance Kit): package containing 60 coated tablets. FACEMIL®, alone or in combination with Disease Modifying Antirheumatic Drugs (DMARDs), is indicated for the treatment of active Psoriatic Arthritis (PsA) in adult patients who have had an inadequate response or who have been intolerant to a prior DMARD therapy. 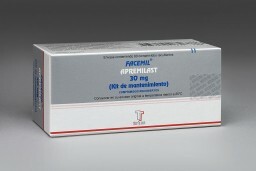 FACEMIL® is indicated for the treatment of moderate to severe chronic plaque Psoriasis in adult patients who failed to respond to or who have a contraindication to, or are intolerant to other systemic therapy including cyclosporine, methotrexate or psoralen and ultraviolet-A light (PUVA). After an initial titration schedule, the recommended dose of FACEMIL® is 30 mg twice daily taken orally, morning and evening, approximately 12 hours apart, with no food restrictions. For further details, see information in the product leaflet.